Well, Zappa freaks, fans, and friends, you may not be able to download it from iTunes, yet you can still listen to my mixtape, “Sunday Mix: Music Is The Best” for free, here at KUR, and enjoy the various rare and interesting FZ field recordings, as well as early 45 versions of songs (before many were remixed beyond recognition), while you celebrate what would have been Frank’s 68th birthday. 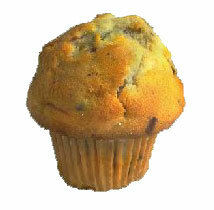 I think I’m going to chow down on a muffin, myself. Click here to listen to the mixtape. Note: If anyone feels we are infringing their copyright, contact us and we will remove the item in question.